A photograph that looks like it’s from a horror movie highlights a serious civic issue in Bangladesh. 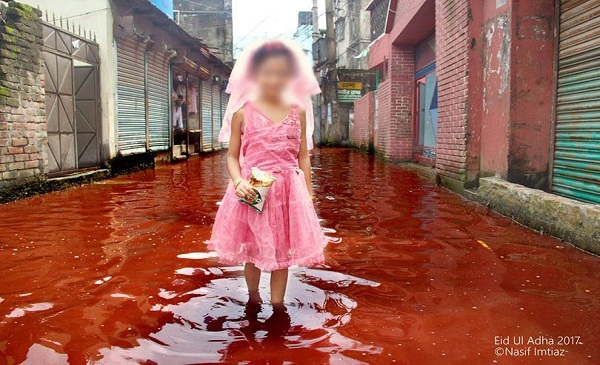 A grotesque image of a little girl posing in blood-stained rainwater after the festival of Eid al-Adha in Bangladesh went viral over the weekend with many speculating that the picture was photoshopped. 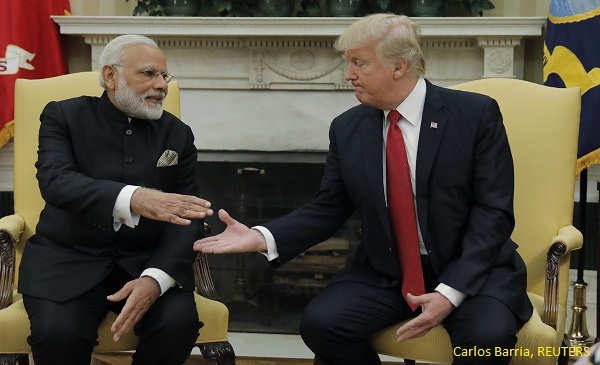 Imtiaz shared the image on his personal Facebook page along with other images to prove that the photo was not digitally manipulated. The photograph was taken in Bangladesh’s Narayanganj area. BOOM reached out to Imtiaz through Facebook but is yet to hear from him. His post got over 1300 shares and over 2500 reactions on Facebook. 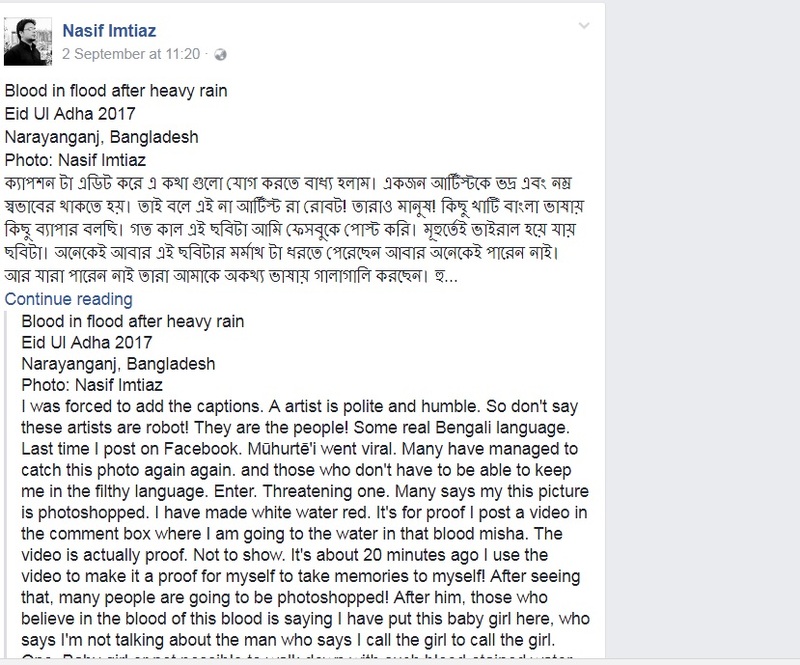 Imtiaz also shared a video and other photos below his post to prove that the picture was not photoshopped. BOOM has blurred the faces of children appearing in the photograph. 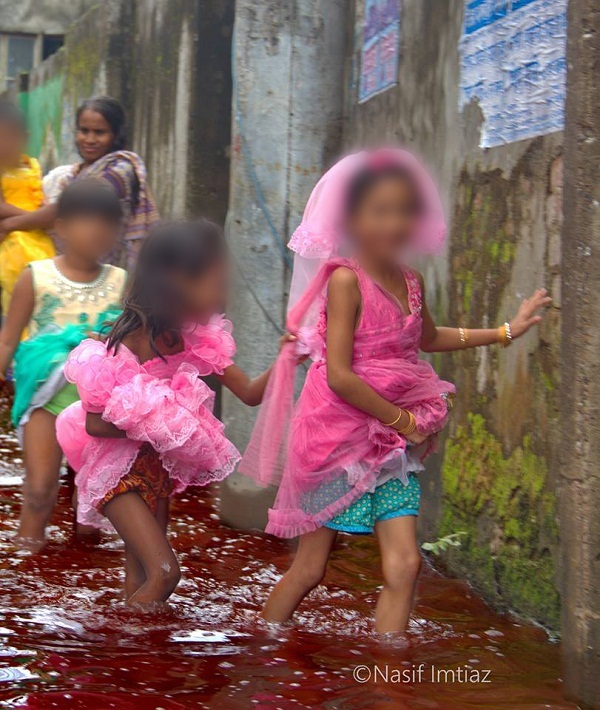 Sadly, apocalyptic visuals of blood and accumulated rainwater combining are not new to Dhaka. In September 2016 local and international media presented jarring photos and reported about the civic nightmare the city had turned into during the festival.